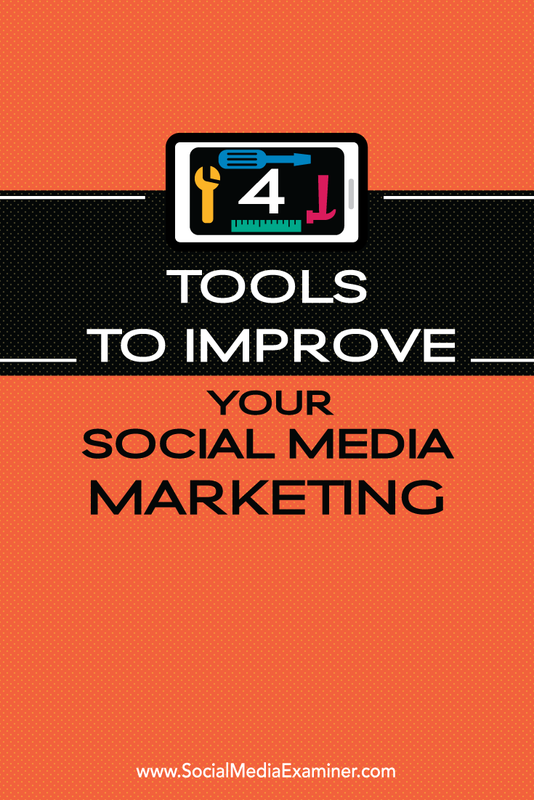 In this article you’ll discover four tools to improve your social media marketing. 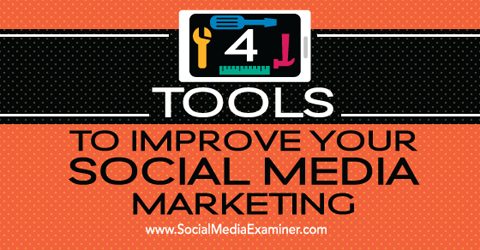 Discover four tools to improve your social media marketing. When we think of local marketing, a narrow set of marketing choices comes to mind, such as offline marketing in local communities through events, sampling at stores, posters and fliers handed out by high-schoolers and the like. Alternately, local marketing also refers to local SEO and how to get visitors who are searching for what you offer online to walk into your store. Pointro is a relatively new social media tool that allows local business owners to connect with patrons in real time and offer them excellent service at the point where it matters most. You get a notification each time a customer checks into your restaurant or store. You can then listen to the conversation and chime in where you’re needed. Pointro makes it easy to connect with local customers when and where it’s most useful. You also get instant access to photos taken by customers at your location and shared with their networks on social channels. Use this user-generated content to showcase customer loyalty to your brand and to enhance your credibility with future customers. Keep in mind that according to a HubSpot survey, 73% of users are likely to buy from a brand that responds to them on social media. Using Pointro to tap into that preference will build a relationship that leads to a conversion. Managing relationships with social media brand advocates is a huge part of a successful social media program. Brand advocates are satisfied customers who directly impact the perceptions of other followers towards your business on social media. They also help spread a good word about your business far beyond your immediate network. In other words, cultivating brand advocates can be a huge win for converting undecided users. To be able to focus your energies on brand advocates, you need to know who matters and who doesn’t. 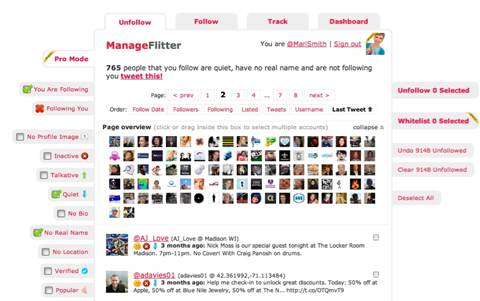 ManageFlitter is a tool that allows you to pare down your Twitter follower lists to only those users who truly like and engage with your brand on social media. Narrowing your follower list to only the people who engage with your brand on Twitter gives you more time to focus your time on the people who matter. By weeding out accounts that are dormant or have unfollowed you, you’re freeing up your time and not wasting your marketing budget on fans that exist in name only. ManageFlitter also gives you the best times of day to publish posts for the best response, which is particularly helpful if you have a business or brand that operates across multiple time zones. As previously discussed, brand advocates hold immense power in convincing other users to convert to your brand. A few years ago, Nielsen’s Global Trust in Advertising study revealed that 92% of customers trust recommendations from friends and family when making a purchase decision. This means the friends and families of your existing customers have the potential to turn into easy conversion targets. All you need to do is reach them at the right time with the right message. 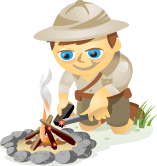 AddShoppers is a suite of tools that allows you to do that. One of AddShoppers’ key features is the purchase-sharing auto-prompt that appears as soon as users complete their purchase. This feature allows users to share the details of their purchase (product descriptions, website URL, pricing and more) on social media. AddShoppers makes it easy for customers to share details about their purchases with their personal networks. The tool also allows you to offer rewards (future purchase discounts, free shipping, etc.) to customers for sharing their purchases on social media. AddShoppers works well with ecommerce sites built on nearly every platform, including (but not limited to) WordPress, Shopify, Magento and PrestaShop. Social media automation is a lot more than just scheduling posts and listening in on social conversations. It can also save you a lot of time. 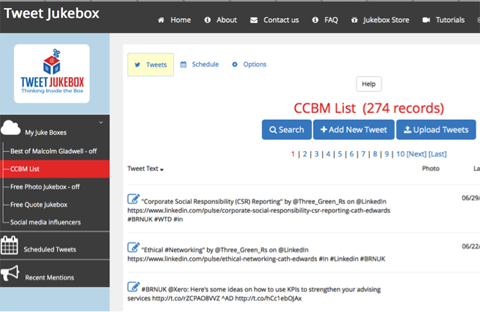 One handy marketing automation tool that can do all of that is Tweet Jukebox. It looks deceptively simple, but it offers automatic scheduling and publishing of your content from handpicked content libraries (or jukeboxes), saving you time that can be better spent elsewhere. Tweet Jukebox offers ready-made tweets to engage your followers with relevant content that is valuable to them. Tap into the hundreds of jukeboxes prefilled with quality content to keep your followers engaged. This frees you up to focus on bigger issues like first-touch attribution for social media. Many marketers routinely question the contribution of social media to real key performance indicators like revenue and profitability. The yearly CMO Survey carried out by Duke University shows that only 13% of CMOs are able to quantitatively tie social media to business results. Data supports the fact that the more time you spend on social media marketing, the better you get at it. Only 37% of businesses that had less than 12 months’ experience marketing on social media saw new customers from social channels. On the other hand, over 70% of businesses that have been invested in social media marketing for five years or more saw new sales arising out of social media. Social media is like a good wine. It gets better with age. So vanity metrics such as likes and follower counts might simply be distracting you from the larger picture. Instead, work your way towards social media goals that directly impact your business. The longer you keep at it, the better you’ll get. What do you think? 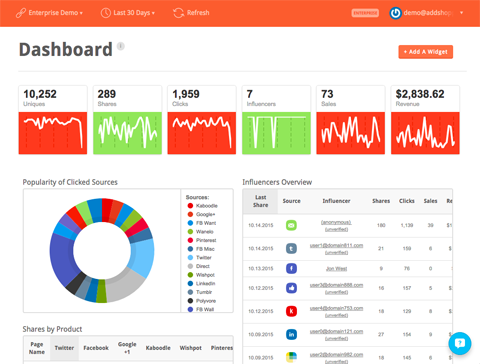 Have you tried any of these tools to boost conversions? What tools work for you? Please share your thoughts in the comments below. 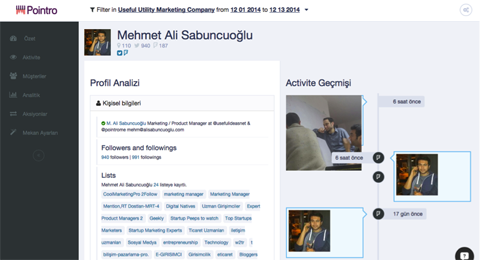 4 tools for improving your social media marketing. Pratik Dholakiya is the Founder of The 20 Media, an SEO and Content Marketing Agency. He frequently writes for leading digital marketing publications.